Lieberman tells Turkish journalists: Israel wants to solve disputes with Turkey, but will not apologize for the raid on the Mavi Marmara. Israel is ready to solve any outstanding disputes with Turkey, but it will not apologize to Ankara for the deadly raid on the Mavi Marmara ship in May 2010, Foreign Minister Avigdor Lieberman said. Lieberman made the comments during a meeting on Sunday with a group of journalists from Turkey in his office in Jerusalem. The Turkish newspaper Hurriyet reported his comments on Monday. The meeting was Lieberman’s first with a Turkish delegation since the incident on the Marmara, which occurred when the ship refused to turn aside when ordered to, attempting instead to break the blockade on Gaza by force. When IDF soldiers boarded the ship they were violently attacked. Soldiers opened fire in response, killing nine Turkish activists. Lieberman said Israel had no reason to apologize for the raid, something the Turkish government sees as a must if it is to restore ties with Israel. “[The Mavi Marmara mission] was a clear provocation and it was our right to protect the lives of our soldiers. Frankly speaking, Israel has no reason to apologize,” he said. He added he had personally tried to arrange a meeting with Turkish Foreign Minister Ahmet Davutoğlu without success. “I think the picture is very bad. [But] we don’t have any disputes with Turkey – [either] territorial or historical. The opposite is true. The Jewish people have lived for hundreds of years in [Turkey] in safety, even during World War II,” he said, adding the dispute with Turkey had not started with the current Israeli government but with the former government led by former Prime Minister Ehud Olmert. 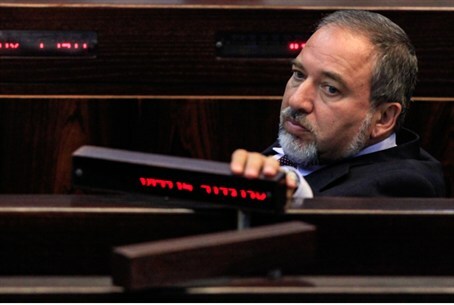 Lieberman said the row stemmed from “a strategic decision” by Erdoğan and Davutoğlu. “[Erdoğan] thinks the best way to be the leader of the Islamic world is to confront Israel. It is the same regarding the issue of the Gaza blockade,” he said. In the past two years, Lieberman noted, Erdoğan’s speeches on Israel have gone beyond criticism to the point of insult. Lieberman also told the Turkish reporters that Israel has offered assistance to the Syrian opposition, but the forces aiming at toppling President Bashar al-Assad’s regime rejected it. The conversation with the journalists took place one day before Lieberman left for Brussels for meetings with European foreign ministers. Lieberman will ask European governments to place Hizbullah on their lists of terror organizations, in the wake of last week’s terror attack on a bus carrying Israeli tourists in Bulgaria.